The federal death penalty trial is set to begin for 22-year-old Dylann Roof, who authorities say is responsible for killing nine people in a Charleston, South Carolina, church last year. Interested in Charleston Church Shooting? 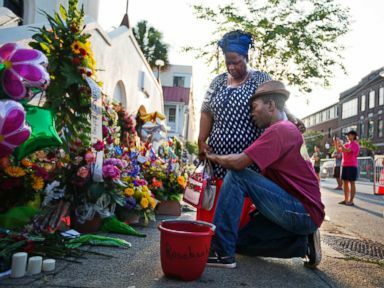 Add Charleston Church Shooting as an interest to stay up to date on the latest Charleston Church Shooting news, video, and analysis from ABC News. Roof, who is white, is accused of fatally shooting nine black parishioners during a Bible study at the predominantly black Emanuel AME Church on June 17, 2015. One of the nine victims killed was Rev. Clementa Pinckney, a church pastor and a member of the South Carolina Senate. Roof, who was 21 at the time, was arrested the day after the shooting in Shelby, North Carolina, about 250 miles north of Charleston. Opening arguments in the federal case against Roof are expected to take place Wednesday. According to the federal indictment, Roof maintained a website on which he posted "a manuscript and photographs expressing his racist beliefs." In the manuscript, he used racial slurs and decried integration, the indictment states. The photos include one of Roof holding a confederate flag, according to the indictment. In the months before the shooting, Roof "decided to attack African-Americans because of their race," and he selected black worshipers at a predominantly black church "to make his attack more notorious," according to the indictment. On June 17, 2015, Roof entered the Emanuel AME Church armed and "with the intent of killing African-Americans engaged in the exercise of their religious beliefs," the indictment states. The parishioners welcomed Roof into their Bible study group, according to the indictment, after which Roof drew his pistol and opened fire. Roof hoped the attack would "increase racial tensions across the Nation" and bring "retribution for perceived wrongs he believed African-Americans had committed against white people," the indictment states. At Roof's first court appearance the day after his capture, several of the shooting victims' family members expressed forgiveness for Roof amid their grief. "I forgive you," the daughter of victim Ethel Lance said through tears to Roof, who appeared at the bond hearing via video conferencing from jail. "You took something very precious from me and I will never talk to her ever again. I will never be able to hold her again. But I forgive you. And have mercy on your soul." Roof was originally granted permission to represent himself in court on Nov. 28 after requesting to move forward without his counsel, according to ABC affiliate WCIV in Charleston. However, Roof then sent a letter to the judge on Sunday asking that his lawyers be rehired until a verdict is reached and that he would then represent himself in the penalty phase. The judge has agreed to this new request. There are 33 counts against Roof in the federal trial: counts 1-9, hate crime act resulting in death; counts 10-12, hate crime act involving an attempt to kill; counts 13-21, obstruction of exercise of religion resulting in death; counts 22-24, obstruction of exercise of religion involving an attempt to kill and use of a dangerous weapon; counts 25-33, use of a firearm to commit murder during and in relation to a crime of violence. Roof is also facing a state trial, in which he may also face the death penalty. The state trial is set for early next year.